Description: In many minds, the best pet food available, anywhere in the world. Personally developed by Dr. Bruce Syme over ten years in his own vet practice. Why so good? 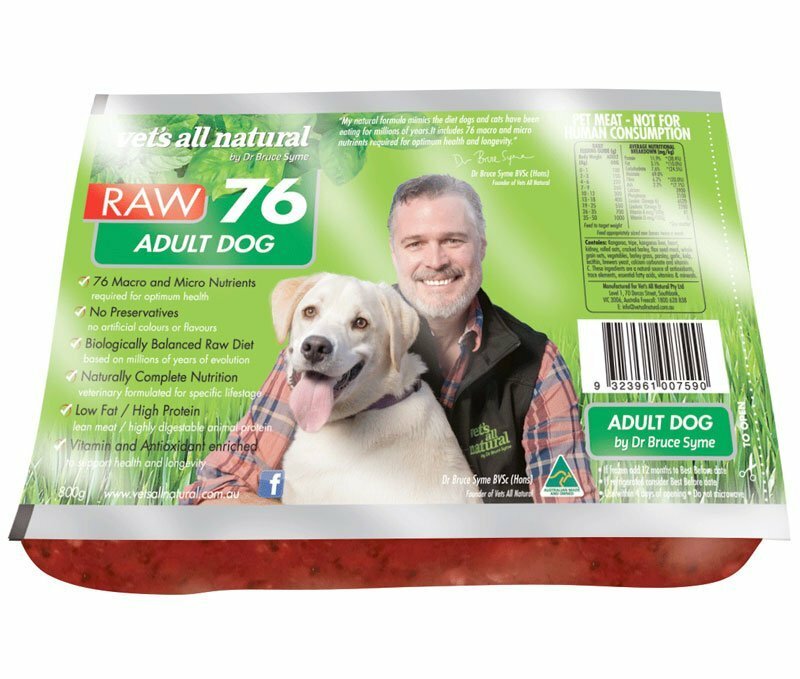 The ONLY pet food to contain all 76 elements dogs and cats need for natural health and wellbeing. Totally natural, raw and 100% preservative free. Recently added, preservative free beef tripe is a wonderful source of fat free nutrients and is also a superb low allergenic meat. Comes in an 800g pack. Ingredients: PRESERVATIVE FREE Kangaroo meat and fresh beef tripe, plus, Dr. Bruces’ “Complete Mix”. The special combination that contains all 76 elements dogs and cats can use in their metabolism.